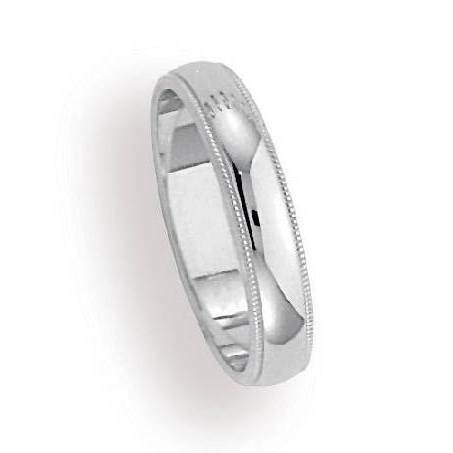 Stand out from the crowd with our men’s designer 4mm traditional fit milgrain 14K white gold wedding band. It’s the perfect option for the groom who prefers a more modern color, while still holding on to the classic appeal of the older ring styles. Made in a gleaming 14K white gold, this designer wedding band pairs a traditional polished dome shape with beaded edges. This designer 4mm traditional fit milgrain 14K white gold wedding band is at once ornate and understated. Don’t be fooled by the smaller size of this ring, it makes a huge statement for a low price. 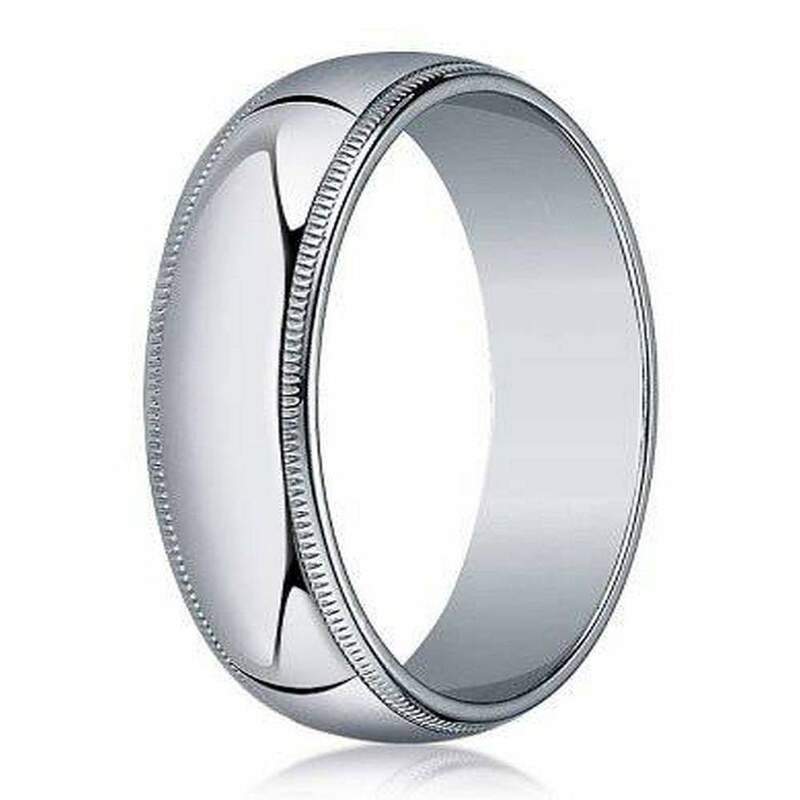 We are pleased to offer our men’s designer 4mm traditional fit milgrain 14K white gold wedding band at a great price that will keep your budget happy. With the high-quality materials used, you don’t have to worry about sacrificing quality for price. We also offer custom engravings up to 30 characters including spaces, allowing you to include initials, a meaningful lyric, or nickname. This will give an additional appeal that the groom is sure to love seeing on the big day and every day following.